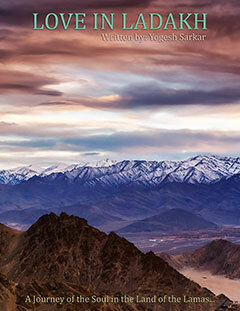 A 150 km long journey from Leh brings you to one of the most beautiful places in Ladakh, Pangong Tso. This lake is situated at an altitude of 14,270 ft. (1,200 ft. higher than Rohtang Pass) and is 135 km long, with two-thirds of it under the control of the Chinese. Pangong Tso is also the most famous tourist spot in Ladakh, made famous by the numerous movies, songs and ads shot here, including the climax of the movie, 3 Idiots. 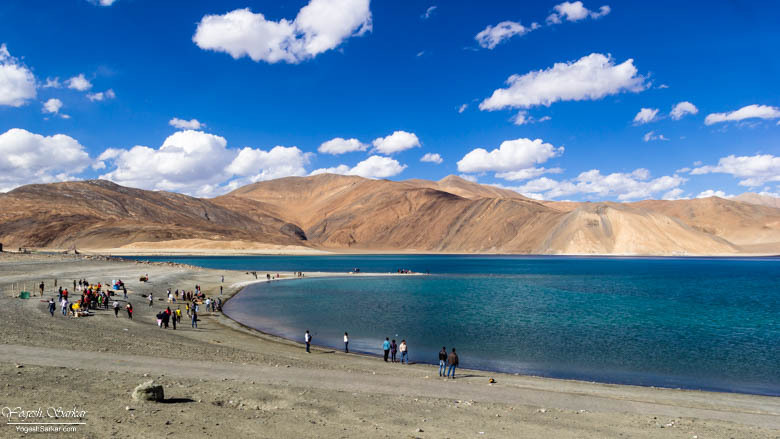 And it isn’t without reason that so many directors flock here to shoot their venture; Pangong Tso is a beautiful high altitude lake, which changes the hues of her water, depending on the time and weather. Presenting the visitor with a never-ending spectacle, which is sure to leave you spell bound. 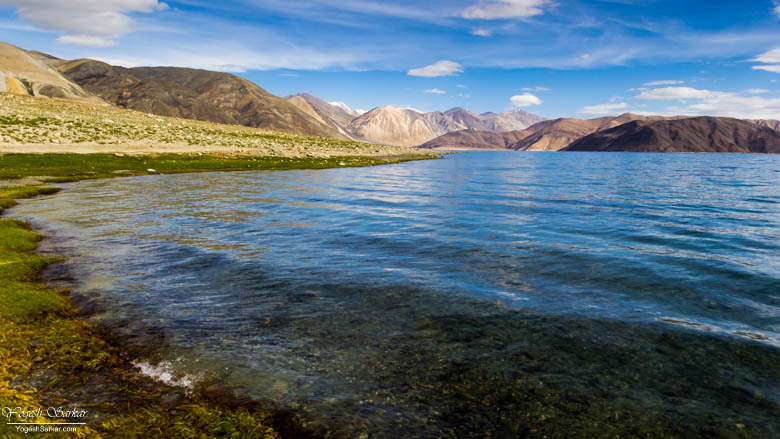 Apart from J&K Citizens, all Indians and Foreigners visiting Pangong Tso require a permit. In case of Indians, Inner Line Permit is required. While for foreigners, NRIs, PIO, OCI card holders, Protected Area Permit is required. 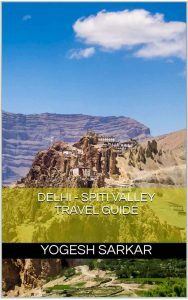 These can be easily obtained from the permit office in Leh or through any travel agent. Procedure for the both are mentioned in the links above. You can take your own vehicle to Pangong Tso (as long as it is in your name or that of your spouse, siblings or parents) or hire a motorcycle or taxi (shared taxis are also available) from Leh. If you’re a cycling enthusiast, you can even hire a cycle from Leh and ride all the way to Pangong Tso. There is also a JKSRTC bus that goes from Leh to Pangong Tso every Tuesday, Thursday and Sunday at 6:30 am, while a daily bus at 6:30 am goes to Tangste (30 km before Pangong Tso), from where you can find a taxi to Pangong Tso. Shakti – Chang La – Pangong Tso: This is the most common route taken by travelers to travel from Leh to Pangong Tso (Google Map). 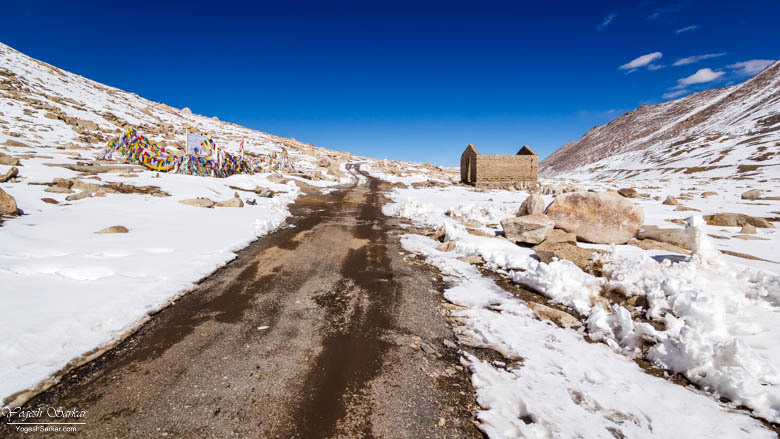 It is a beautiful route that passes through the mighty Chang La pass and drives along the gorgeous Tsoltak Lake and Tangste, in order to reach Pangong Tso. 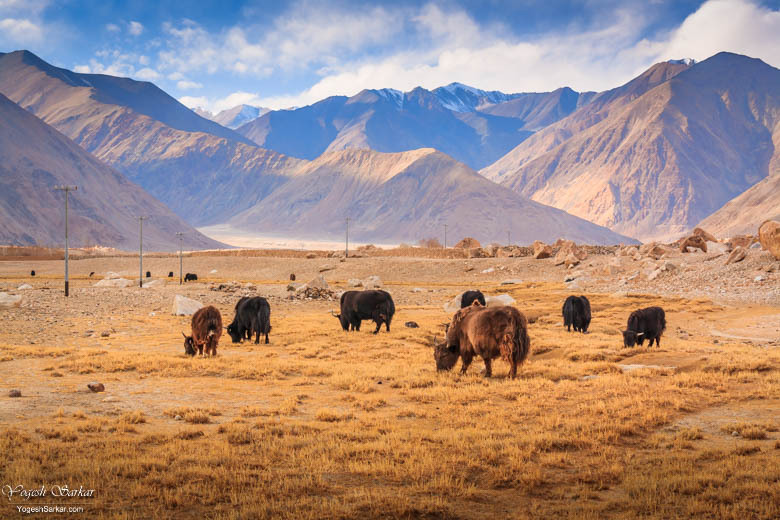 For those planning to travel to Nubra Valley, before heading to Pangong Tso, you can join this route at Shakti, after taking the Khalsar – Wari La – Shakti route to bypass Leh (Google Map) and travel from Nubra to Pangong in a single day. This route is open from July to October end, though it can get closed due to landslides or heavy snowfall since it isn’t as well maintained as the main route. 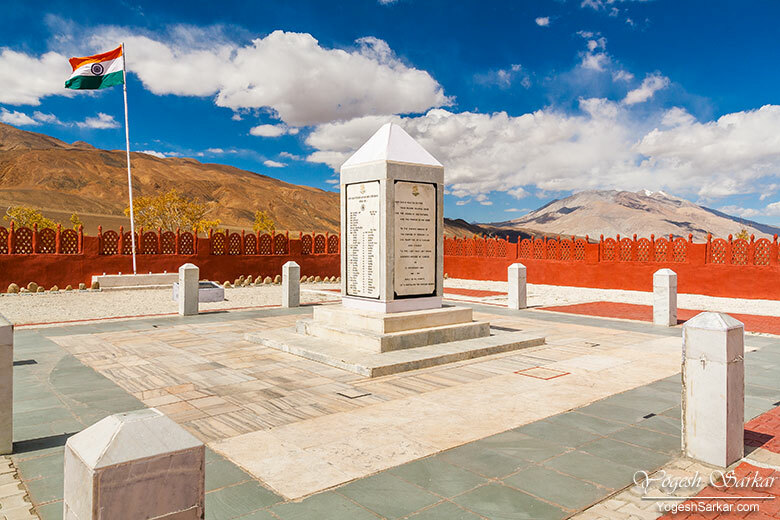 Nubra – Shyok – Durbuk – Pangong Tso (Google Map): For those looking to travel from Nubra to Pangong Tso in the fastest way possible, this route via Shyok Village is the way to go. Over the years the road condition, as well as traffic, has increased and you’re greeted with magnificent vistas all the way to Pangong Tso. There are just a handful of bad sections these days and although landslides and overflowing Shyok can still block this route easily, it is a lot better than what it used to be. 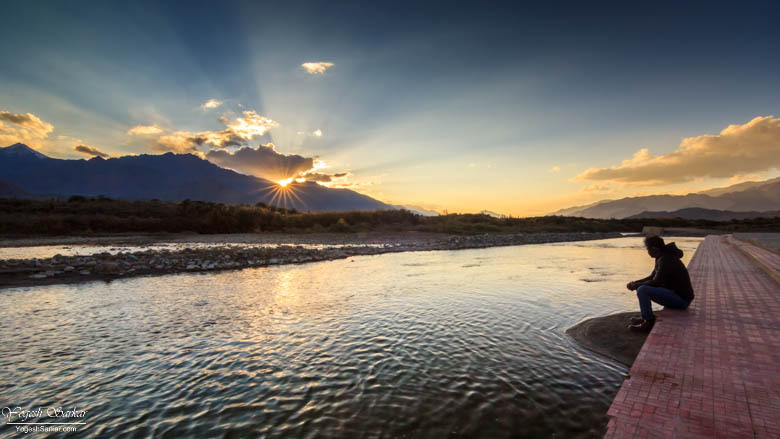 Just make sure to check the status of the route with locals in Nubra, before beginning your journey. Pangong Tso – Chushul – Nyoma – Leh (Google Map): This is a beautiful yet long and rough route, which runs along Pangong Tso for a distance of over 40 km and then takes you to the Chushul Village, just a few kilometers before the LAC (Line of Actual Control, the ceasefire line between India and China), which saw intense fighting during the 1962 Indo-China War and has the Chushul and Rezang La War Memorials a few kilometers beyond the village (en route to Nyoma.) in fact, you can see the Chinese side of the mountains as well as the meeting huts for Indian and Chinese Army officials, en route to Tsaga Village. 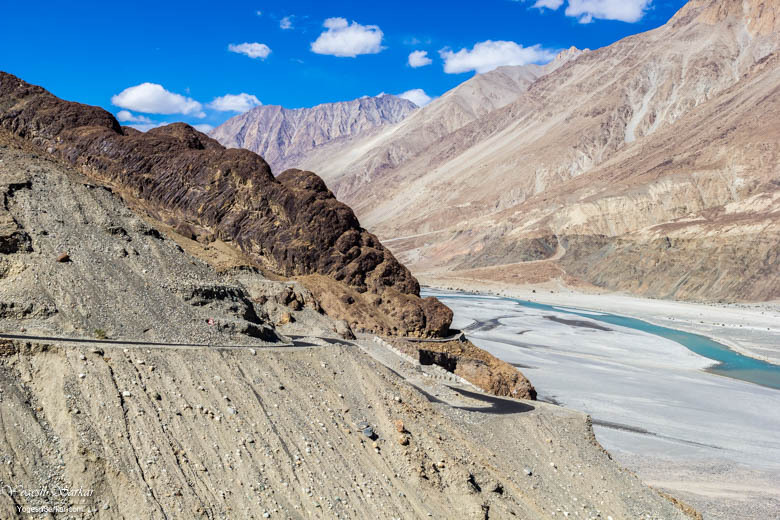 Beyond Tsaga, you travel along the Indus River for most of the journey till Leh, making for a beautiful drive. Even though there are plenty of variances that can be tried, once you reach Chushul i.e. traveling to Hanle, Tso Moriri etc. 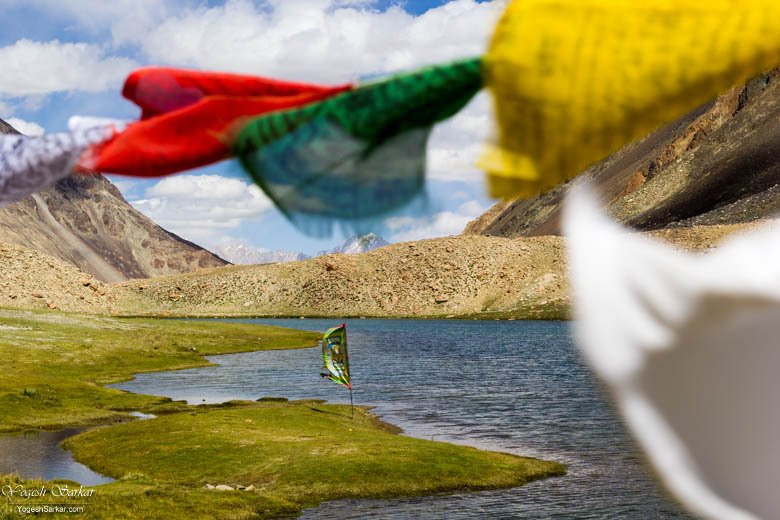 before heading back to Leh or instead of traveling to Leh, travel to Manali. That is beyond the scope of this article and I suggest leaving a comment below if you want advice on that. Sadly though, if you’re a foreigner or an NRI, this isn’t the route for you, since only Indian Citizens are permitted to venture beyond Merak Village. Even for Indian Citizens, traveling on this route can be uncertain, since you need to mention Chushul, Tsaga, Loma, and Nyoma on the permit and the permit office can strike them out. Even if you have a permit, there is no certainty, you will be allowed beyond Chushul, owing to the sensitive nature of the route. 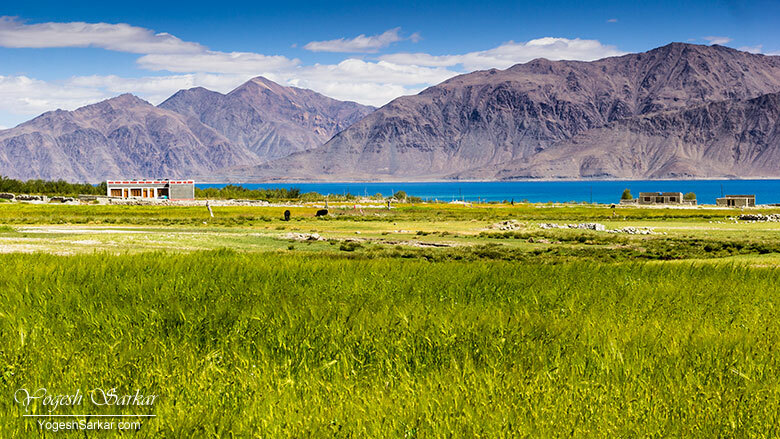 As far as sightseeing at Pangong Tso is concerned, the main sight is the lake itself. And although quite a few people like to visit Pangong Tso during the day and return to Leh by nightfall, it is no fun. In fact, during the course of this 11-12 hour trip, you only get to spend an hour or two at the lake, which is extremely less and makes for a hectic trip. It is best to spend a day or two near the lake and enjoy its beauty at a leisurely pace. Majority of the day tourists stop at Lukung, where numerous businesses have come up for the photo ops, be it the 3 Idiots bench and Scooter or the yaks and traditional cloth renters. However, if you want to leave the hustle and bustle behind, it is best to drive further ahead till Merak Village, since en route you can find numerous points for photography and comparatively fewer tourists venture so far. Apart from this, you can also visit the Hemis, Thiksey and Shey Monasteries en route to Pangong Tso or while traveling back from the lake to Leh. You can also visit the 3 Idiots school en route or take a detour to Sindhu Darshan Ghat. From Tangste a diversion exists for Harong Wet Lands, which is beautiful in its own right. However, if you’re planning to visit it, it is best to have a permit for Chushul, since the road eventually leads there and isn’t a usual thoroughfare for tourists heading to Pangong Tso and has strong army presence. Food is something that is sure to leave you disappointed on this journey unless you’re staying at a place which has good cooks. Majority of restaurants en route to Pangong Tso and at Lukung, serve pathetic food. It is best to have food in Leh or at the dhabas is Karu (even their quality has deteriorated) and then at your camp/homestay at Pangong Tso. Majority of the drivers bypass the Tangste town these days, but if you’re interested in a good cup of tea, head inside and stop at the Chang la Yakmik Hotel in the market. It also has a provision store, in case you need to buy chips, biscuits etc..
As far as booze is concerned, it is best to avoid that at Pangong Tso, due to high altitude. Still, if you wish to drink, carry your own from Leh, unless you wish to pay exorbitant rate to the camp owners at Pangong Tso. There is plenty of accommodation available these days at Pangong Tso, from Lukung to Merak Village, choices are plenty and if you arrive by afternoon, you can strike a good bargain. Prices spike up by late evening since the majority of the camps get full (especially at Lukung and Spangmik.) Also, it is a good idea to opt for accommodation and food (breakfast and dinner) since there aren’t any good restaurants around and a la carte costs more. Homestays at Spangmik, Man and Merak are a good bet for those looking for budget accommodation, while luxury tents and cabins are available at Lukung, Spangmik, and Man. Martsemik Camp at Lukung is a good option and they serve good food as well. Though expect to pay around 3-3.5k for it (including food.) Pangong Villa at Spangmik has okish rooms and good food for 2.5-3k (inclusive of food) and Padma Home Stay at 1.3k (including food) is a good bet for the price, though the food isn’t great. There are numerous other places and rooms/cabins are a lot cozier than tents, which can get really chilly at night. If you’re opting for the tents, make sure to check it first, since the ground below them is often slanted, which can result in uncomfortable sleeping position. Camping on your own: Those who are planning to camp on their own, please keep in mind, the coast along the Pangong Tso is a wildlife protected area and camping isn’t allowed. You can camp near guest houses or in the fields of the villages, after seeking permission from the locals and paying them an appropriate fee. 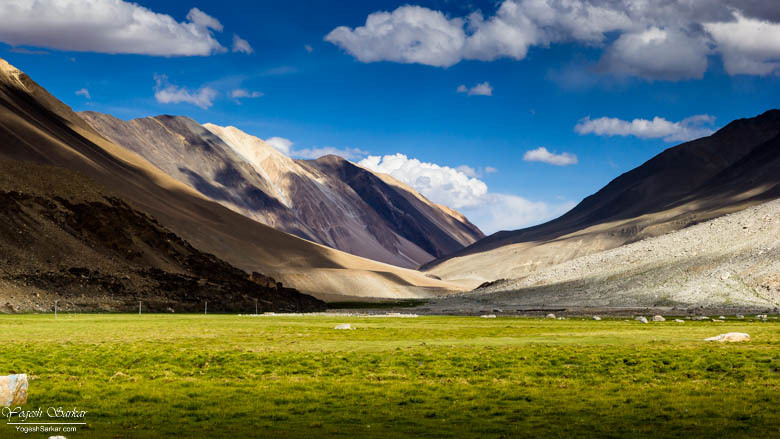 Since the Pangong Tso is located at an altitude of 14,270 ft. chances of getting hit by AMS is extremely high and it is recommended to keep yourself well hydrated and only visit Pangong Tso after spending a night at Leh and doing sightseeing trips to Sham Valley, Nubra Valley etc. in order to give your body time to acclimatize to high altitude. In case of any major issue, please contact the army camp at Lukung or head to the primary health care center at Tangste Village. Since Tangste is located at a lower altitude than villages along Pangong, you can also spend the night there to reduce the discomfort. Go through the AMS Survival Guide to learn more about AMS and how to survive it. This requires a special mention in the case of Pangong Tso since apart from the petrol pump at Leh, Karu, Diskit (Nubra Valley) and Tandi (Leh – Manali Highway, after Keylong) there aren’t any fuel pumps on this circuit. So based on the route you’re planning to take (typical trip to Pangong Tso and back from Leh is around 320-340 km) and the range of your vehicle, you might have to carry spare fuel or buy fuel in black from places like Durbuk, Tangste, Chushul, Nyoma, Pang or Sarchu. 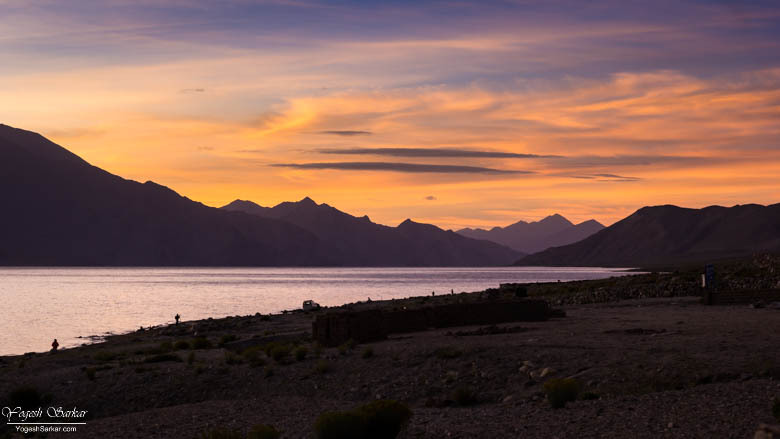 Bonus tip 1: Sunrise at Pangong Tso is a lot more beautiful than sunset, so make sure to wake up early. 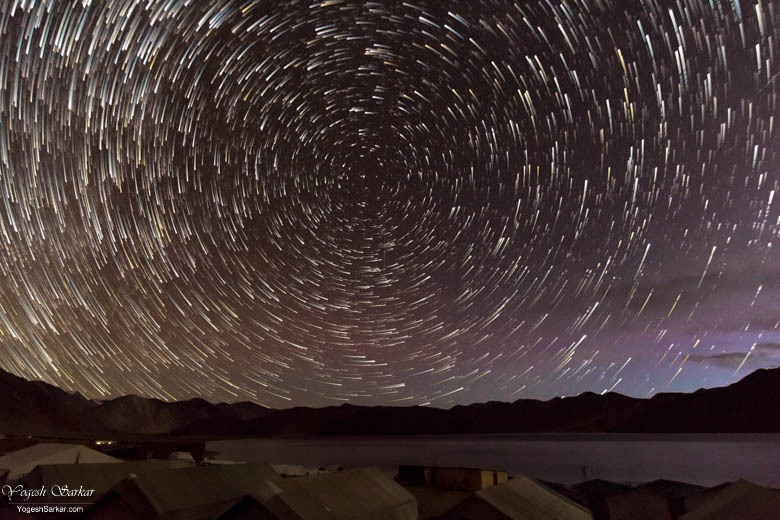 Bonus tip 2: Full moon can easily mess up your exposure of Pangong Tso, while the moonless nights can help you photograph the lake along with stars. So if it is night photography you’re interested in, plan your trip accordingly. A Request: Pangong Tso is a natural wonder, please do not spoil it any further by littering along the lake or by playing loud music, creating a ruckus, chasing wildlife or driving/riding at places where vehicles aren’t permitted. If possible, bring back the garbage with you to Leh and dispose it at your hotel. Greetings from Dhaka, Bangladesh. My name is Niloy and me and my two friends were planning to visit ladakh and above mentioned places of ladakh on your article at end of september 2018! I was wondering about getting the PAP at ladakh. Recently in some posts after may and also other blogs, I have found that leh office has stopped to give entry permit for Bangladeshi Nationals! would you please give me an update in this regard!